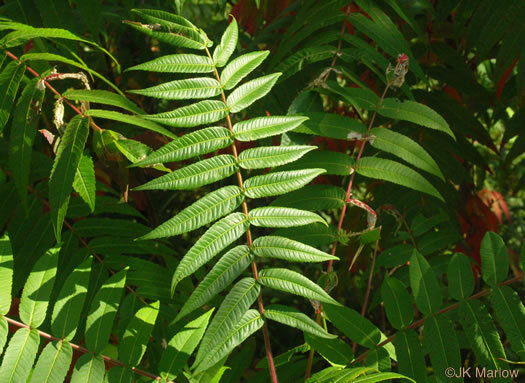 Your search found 7 image(s) of leaves of Sumac and Tree-of-heaven. Leaves w 11-29 leaflets, entire except for rounded basal gland-tipped teeth, per Woody Plants of the Blue Ridge. Petiolules 0.2-1cm long, per Vascular Flora of the Carolinas. 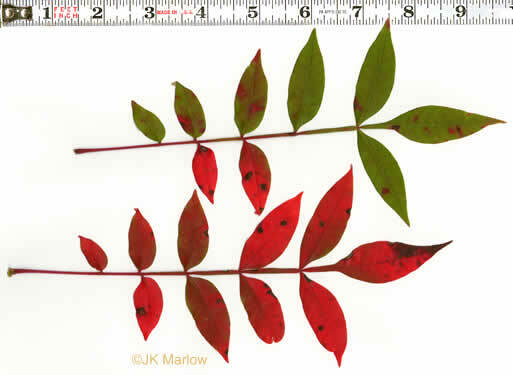 Leaves with 7-13 elliptic, oblong or oblanceolate, entire leaflets, per Vascular Flora of the Carolinas. 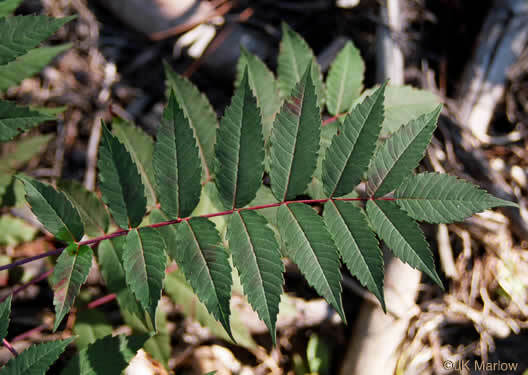 Leaves with 15-31 sessile, serrate leaflets, per Vascular Flora of the Carolinas. Rachis with green marginal wings between leaflets. Leaflet margins entire, per Native Trees of the Southeast, An Identification Guide. Leaflets number 7-21. 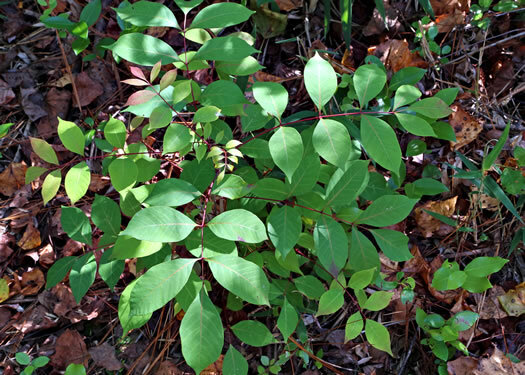 A shrub that produces masses of reddish fall color, per Native Shrubs and Woody Vines of the Southeast. 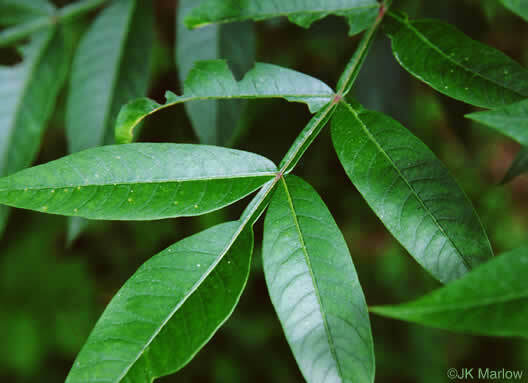 Leaves with 15-19 sessile, serrate leaflets. 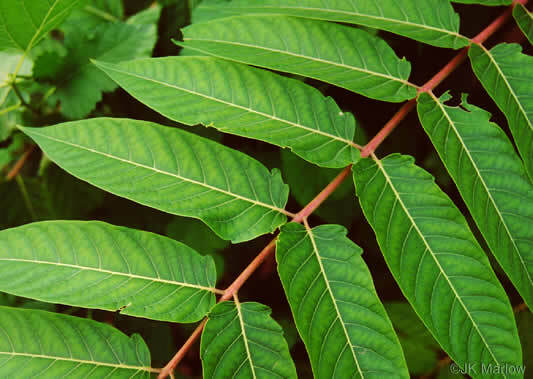 Rachis not winged, per Vascular Flora of the Carolinas.